Laramie, Wyo. 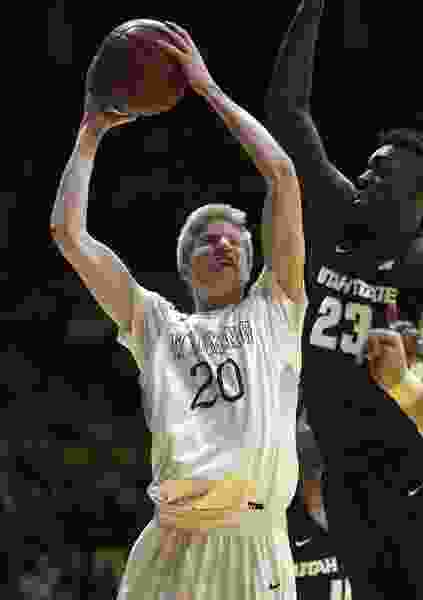 • Hayden Dalton scored 27 points and grabbed six rebounds and Wyoming rolled to an 83-65 win over Utah State on Wednesday night. Dalton was 8 of 13 from the field and 9 of 10 from the free-throw line. Justin James added 14 points with six assists and three steals for the Cowboys (16-8, 7-4 Mountain West Conference) who are third place in conference behind Nevada (9-1) and Boise State (10-2). The Cowboys had a 21-12 surge in the final seven minutes of the first half with the help of two dunks by Dalton and a 3-pointer each from Dalton, James, Cody Kelley and Alexander Aka Gorski to lead 46-33 at the break. Utah State got as close as 57-44 with 14:29 to play in the second half but the Cowboys took off again after that and rolled to the win. DeAngelo Isby scored 16 points to lead the Aggies (13-12, 6-6). The loss ends a three-game win streak for Utah State.